Education is disinterested. Ideology is not. That’s the distinction that matters here. While my politics lean heavily to the left, they also quickly become fluid and pragmatic when the consideration is what actually works. 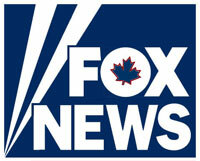 My issue with “Fox News North” is not really a matter of left or right. It has to do with process, intent, and foreseeable consequences. The Harper government is gaming the system, facilitating private interests we have a right to be skeptical about and wary of, and it is clearly pushing this application along for primarily ideological reasons. Conservatives themselves have called this project “Fox News North” for some time now (although they have taken to pretending they haven’t), and, frankly, we don’t need a Fox News, there’s no significant demand for a Fox News, and our system for licensing ought not to be abused to foist a Fox News upon us. Just because Quebecor is making an application, why would it follow that it must be granted? Kory Teneycke — former press aide to Harper and now VP for development at Quebecor — makes a regular habit of saying unpleasant things in an aggressive way, which is no small matter when you’re moneyed and have powerful interests behind you. When he called into question Margaret Atwood’s patriotism (an “issue” then taken up by the Sun chain of newspapers and others, creating the “echo chamber” effect that now drowns out discourse in the U.S.), I took it as a sign of things to come. There is a case to be made here. And so I do. In this instance, I simply want the CRTC to be able to do its mandated job without political pressure from the Harper government or intimidation by the likes of Kory Teneycke. This entry was posted in Canada, Current Events on September 7, 2010 by Michael Happy. Sign here to stop the Harper-Mulroney-Quebecor axis from imposing a politicized rightwing “mandatory access” news channel on cable service providers. CRTC Chair Konrad von Finckenstein has already refused Sun TV’s application for a “must carry” license because it didn’t meet the necessary requirements, but parent company Quebecor is still pressing a fast track application that would give it “mandatory access” status. The Harper government is facilitating the process, and is apparently trying to drive von Finckenstein from office in order to put someone more amenable in place. The next CRTC hearing on the matter is November 19th. Read the Avaaz mass email in an earlier post here. Sign the petition to “Stop Fox News North” here. This entry was posted in Canada, Current Events, Politics on September 7, 2010 by Michael Happy. Helen Mirren as Elizabeth delivering her famous speech to the troops at Tilbury as the Spanish Armada approached, 19 August 1588. Today is the birthday of Elizabeth I of England (1533-1603). This entry was posted in Anniversaries, Myth, Notebooks, Secular Scripture on September 7, 2010 by Michael Happy.